Are you going to hiking, fishing, boating, and kayaking? Then you will need to get yourself a Water shoe to protect your feet when the need arises right? Water shoes which protect hikers on their outdoor adventures are no longer the unpleasant and impractical beasts they were before. These shoes have developed into a form of practical footwear; they are more of a blend of sandals and sneakers. Their reputation has soared, but with an excess of options comes confusion. 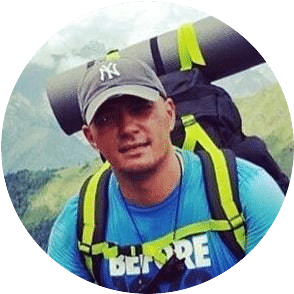 In this article, we will help you elude the difficulty, walking you through closely what a water shoe is, how to approach purchasing one, and the best water shoes for boating, hiking, and, yes, fishing. Like every other outdoor activity, hiking requires having the suitable equipment which will make you feel comfortable and keep you safe. It is of particular importance to have the right fitting shoes, or in this case, water shoes that will ease your hiking, keep those blisters away and help you in avoiding any other unpleasant situation you could ponder. 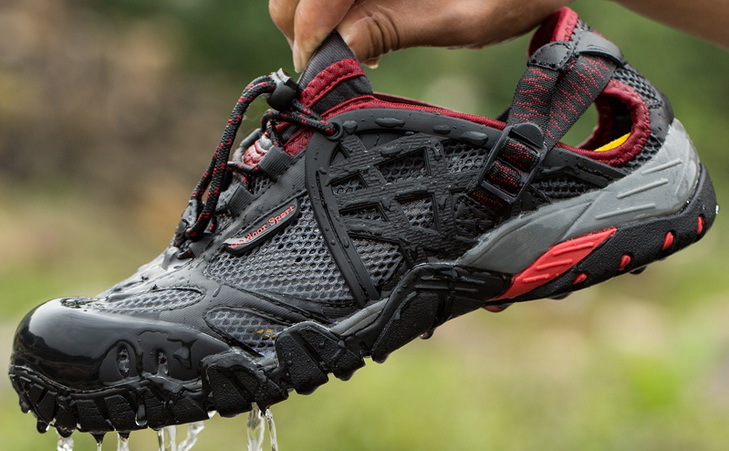 In this guide, we have reviewed and rated some of the best water shoes for men and provided you with suggestions you can choose. But first, let’s see the advantages and disadvantages of these shoes. When you are looking for the best water shoes for hiking, you should consider a few features that are most important. Which feature you prioritize is up to you and your needs? The first thing you need to know is whether you want them to be multipurpose for instance for hiking and swimming or you only need them for hiking. This will prevent you from giving some extra money for features you don’t need. The second thing is your budget. We all know what great quality is; at least after reading this buying guide every one of you will know; but whether we have the budget for them, that is another subject. The insole is what makes the shoes comfortable. Some insoles are removable for easier cleaning, while others are stacked in the bottom of the shoe and claim they are not removable. However, after a while, almost every water shoe will detach its insole, and you would have to either glue them or put them back on every other time. 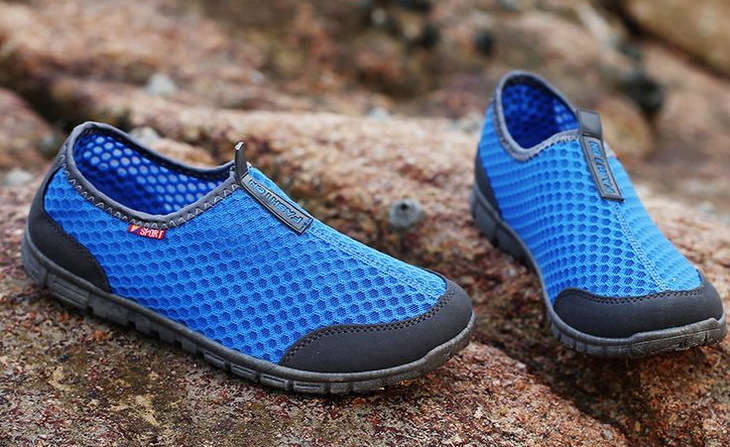 Even though you are looking for water shoes, there is no harm in them being comfortable right? The high arch gives them greater comfort and increased stability. High arch also makes them more suitable for long destination hiking. Almost every water shoe has holes on the sides or the bottom. The ones that don’t take a long time to drain since they are letting the water out only through the material. Holes on the bottom are more productive that holes on the side if you are planning on using them for water sports. However, if you are planning on going hiking with them, then we would recommend side holes since they are keeping the sand and mud out. 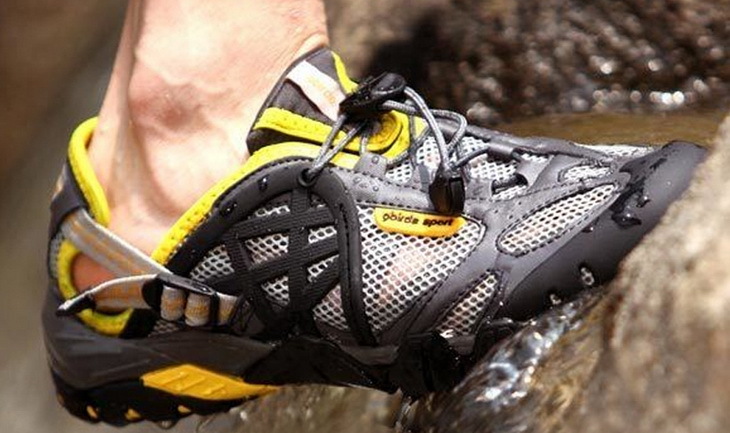 The best water shoes for hiking usually have rubber material on the bottom to keep you stable on rocky surfaces. It is also important the attachment of the rubber to the rest of the stuff. If it is not glued properly, they will be less durable. But the only way to know this is by trying them on. Description: These Speedo Surfwalker Water Shoe is suitable for kayaking and other water sports. 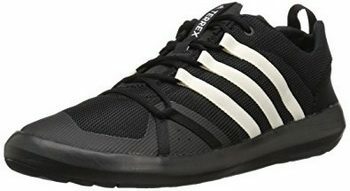 If you are looking for water shoes, which are something more than sandals, this is the right choice for you. They are made to be fully submerged in water. However, they are not water resistant, although they dry very quickly. The shoes are made from synthetic material which does not absorb much moisture, which is the reason the shoes are drying fast. They are also very comfortable if you choose the right size and the price is just right for the features they are offering. They have implanted a cushioned insole that provides impact protection, but it is a feature that is open for slight improvement. Sometimes, the inserts come out when you take the shoes off. It is not a big problem to put them back in, but unless you stick them somehow, you would have to do it every time you get them off. Other than that, they are excellent shoes with great arch support recommended for all types of water sports. Related: Consider getting this Moneysworth & Best Shoe Care 13102 Protector Spray. It helps prevent fading, cracking and premature aging of your water shoes. Description: These Speedo Hydro Comfort Water Shoe fit perfectly, and there is no way that they come off on their own. While providing extreme comfortableness, they are also very durable and will hold up during water or other sports activity. They will always stay on securely because of its design and laces, which is pretty easy to handle even when wet. There are also holes in the sole in various directions for better stability when moving through the water. They are also suitable for pool walking, kayaking, walking in the ocean, tubing the river and many other water sports. This is mentioned because there are many chemicals in a pool, so for a shoe to endure such treatment, it must be made with high quality. Traction is also excellent. They dry very fast, but the ankle cushion part of the shoe is not made for fast drying so that this part would take some more time. 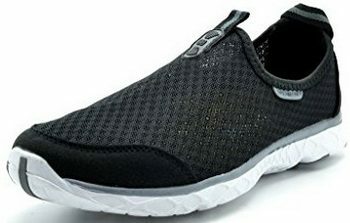 Other than this, you might say that these are multi-functional shoes since they can be used for hiking, bicycle, jogging, rock climbing, you can use them in the rain and many other purposes. The mesh is a very nice addition since it allows airflow into the shoes. The mesh and the tongue are also very soft and comfortable. The insoles, on the other hand, are better in the previously reviewed water shoes. Related: This Moneysworth & Best Shoe 30304 Brush is perfect for cleaning and polishing your water shoes before going on your outdoor adventures. Specific features: Fabric, rubber sole, breathable and durable air mesh upper, solyte midsole with excellent bounce-back and durability, water grip outsole provides exceptional traction, comfort dry sock liner, meshes on the upper and the hole in the sole. 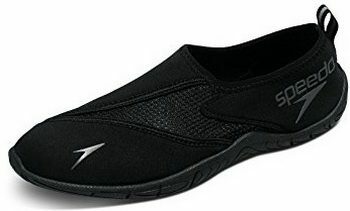 Description: These are Aleader Mesh Water Shoes you would want to check its design for yourself; it is unique. 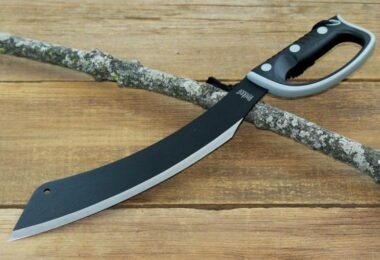 They could be used for all kinds of sports activities that don’t include a rough surface. Their main downside is that after a few washes, they are beginning to change color. So if you want them to stay as good as new, you ought to choose a brighter color. However, when underwater, they are surprisingly comfortable and stable. At first sight, they look a little too flimsy to hold up, but you would be surprised by their durability. They are also very light so you could also use them as ground shoes for hiking, backpacking or other activities that include walking through combined surfaces. If you are planning on ordering a pair of these, make sure you check the size chart. Keep in mind that with the size being a little off, so consult with the suppliers before ordering. Although they are comfortable, they are not suitable for long hiking since they don’t provide great arch support. Related: A Meltonian TECJLS Stain Protector is ideal to use before going on your adventures. It helps protects your water shoes from unnecessary stains. Description: The insole of these Dream Pairs SDTK2F Water Shoes water shoes is their biggest advantage. It makes them so comfortable that when in the water, you would get the feeling like there is soft sand under your feet. It is manufactured from an elastic synthetic material that provides you support and is moving according to your feet’s movements. They are also very lightweight and durable. Its main downside is its arch support. If you are looking for shoes with extra arch support, these shoes are not the right choice for you, check our other suggestions. 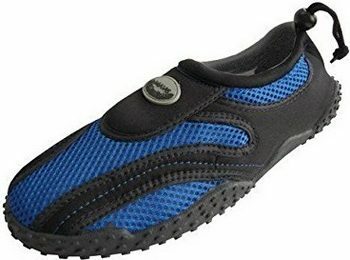 This water shoes have drain holes on the sides, but it doesn’t seem to be enough for the water to come out if you fully submerge them in water. So, you are left with two alternatives, wait a while for them to drain, or stop and take them off to remove the excess water. Otherwise, they are breathable and very durable; you would wear them for years. Another warning is that if you are planning on ordering them; make sure you go a size up since they are a bit narrow. Related: For water shoes, insoles are very important when going for an outdoor adventure. 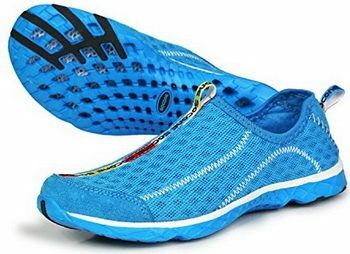 You can follow this link to purchase the Spenco Polysorb Insole that will make your water shoe even more comfortable to wear. 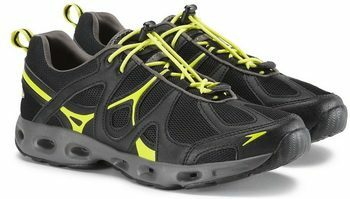 Description: If you are looking for men’s water shoes in the small price range, but with good quality, this is the right choice for you. They are built with a slip resistant rubber outsole that will keep you stable even if you are walking in a sea of waves. Tecs Aquasock Water Shoe is also suitable for swimming, and they don’t fall off while swimming. If you are planning on ordering, make sure you get a smaller size so that they are a perfect fit for you. 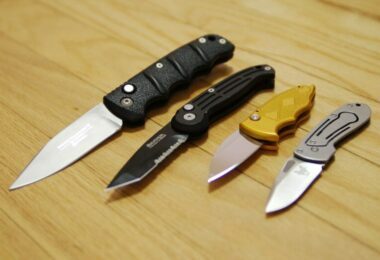 They are a bit heavier than most of these reviewed brands, but they are comfortable. Their main downside is that they are not meant to be worn on long hikes, so they don’t have enough arch support. The traction, however, is more than sufficient. There is a zip cord on the back that tightens the ankles and makes them more comfortable. The insole is coming out when you take the shoes off, but it can be easily put back in. Related: For users who will probably go swimming on their outdoor adventures, you can check out this Neleus Fit Performance Short with Pockets. The shorts is suitable for use at home, pool and at the beach. Description: These Speedo Surfwalker Pro 2 Water Shoe is recommended for multiple purposes, hiking and backpacking included. The tracking is secure, and there is no slippage. 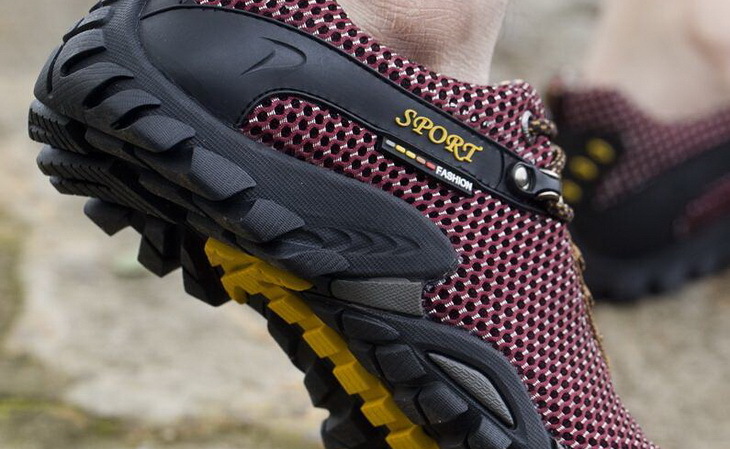 They are also very lightweight, comfortable and suitable for long hikes. The sizing is a bit off, so make sure you consult with the supplier before ordering. In the water they are stable, and the synthetic insole provides great comfortableness. They dry very quickly, and they have a breathable mesh. The insole is removable so that you can clean it quickly. The rubber outsole provides stability through rough terrains like rocks or shells for instance. They are particularly useful in rocky areas like rocky beaches for instance. This is a highly durable product that doesn’t tear easily, and it doesn’t fade no matter how many times they are machine washed. It comes in different sizes, so you have to know your shoe size before you purchase. If you purchase your size, it fits perfectly, and it is not slippery. 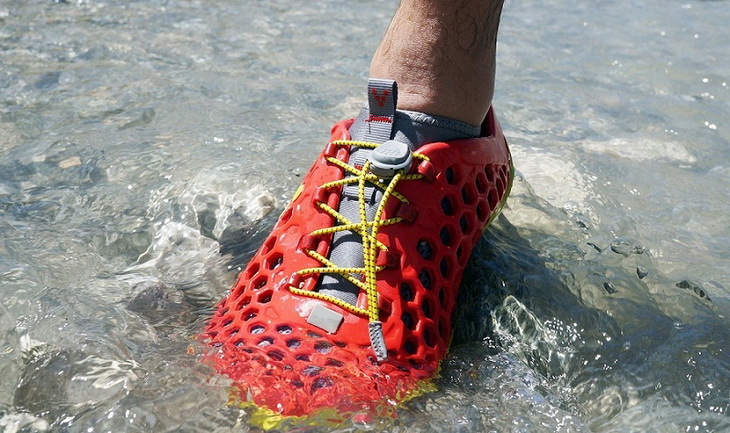 Related: Since you found perfect water shoes, now you need something that will allow you to drink that water if needed. This LifeStraw LSPHF017 Water Filter helps keep your water clean and healthy to drink on your outdoor adventures. It removes all bacteria and parasites present in the water. Description: When you first try on these Wave V5T33Y Aqua Socks, they will fit perfectly; they are in perfect line with your foot’s anatomy. They are easy and lightweight, although not so durable. If you want them to last you a long time, you should not use them on any terrains. Although they are good for combined terrains, rocks and water, I would say they are not made to be fully submerged in the water. The insoles are removable for easy cleaning. They are quite comfortable and inexpensive, and they keep your feet protected from rocky terrains. The main advantage of these shoes is that their size is adjustable. There is a drawstring in the back of the shoes which help you customize to your foot size. This doesn’t mean that you should order, any size; there is still a size chart. However, if your feet are swollen or for any reason you want them to be tighter or larger, you can easily adjust them. Related: These Speedo Vanquisher Goggle are one of the best for those who want to use the water shoes for swimming purposes. Specific features: Synthetic, imported, rubber sole, Climacool open mesh for enhanced breathability, EVA tongue top for enhanced fit and comfort, stretchable heel insert for optimal fit. Description: Adidas Outdoor Climacool Water Shoe is not only a water shoe, and not for men only. Since they have a lot of design choices you can choose between, if you are a lady, they will still fit you, and you would feel comfortable in them. They are designed to be submerged in water, and that is their main purpose. However, you can use them for hiking or backpacking as well. They have small holes on the bottom which allow the water to drain if you use them for water sports. However, if you are using them for hiking, I wouldn’t recommend doing it on sandy grounds, since the holes are allowing the ground to come inside. They are not uncomfortable on such areas, but they will get your socks or feet dirty. The same goes for muddy terrains. Another advantage is that they have laces that are impossible to untangle in the water on their own, so they are certainly recommended for swimming. They drying process are very fast, and the draining as well. Adidas has always been a safe choice; they haven’t failed us with these water shoes either. Related: Now that you got your feet all geared up, you should consider getting an outdoor kit, just in case something unplanned happens. This EMDMAK WQ5VT6 Emergency Gear Kit is one of the best to bring with you on your adventures. The kit consists of versatile tools, flashlight pliers, emergency whistle and so much more. We have reached the end of our article. We hope that you found it useful and interesting to read, and that you realized that an inadequate choice of shoes for any activity could be a cause of injuries, and after prolonged use, they can cause circulation problems. That is the reason why we have created this guide, and why you should read it carefully and choose the best alternative for you. Some water shoes could be good for some people and not so comfortable for others. However, some features go for every user. Hopefully, you will find what you are looking for between the pages of this guide. Remember to share your experience with us, we and the whole hiking community will be grateful for every opinion provided!